Southcoast Health has expanded our health and wellness services available to women with the addition of tomosynthesis, a new digital mammography system. Digital mammography allows us to provide you with the highest quality of care in the prevention and early detection of breast cancer. Unlike other parts of the body, the breast is composed mainly of soft tissue. When breast tissue is X-rayed, it creates an image that looks something like a smoky haze, making it difficult to see tiny “spots” (called microcalcifications) and other subtle signs of early cancer. With our digital mammography in Fall River, North Dartmouth, New Bedford and Wareham, MA, your radiologist will review electronic images of the breast using special high-resolution monitors. The physician can then adjust the brightness, change contrast and zoom in for close-ups of specific areas of interest, reducing your stress and anxiety when waiting for a diagnosis. Having your mammogram done at Southcoast has its clear benefits. Take comfort knowing that our mammography locations work closely with the Southcoast Breast Centers. If you have an abnormal mammogram, Breast Center offers a whole new way of getting answers. Our breast surgeons and breast care navigators work closely with you and guide you through the entire diagnosis process, step-by-step, so you can get the answers and support you need without stressful delays. Being able to manipulate images is one of the main benefits of digital technology. Another advantage of digital mammography over film-based systems is it can greatly reduce the need for retakes due to over or under exposure, reducing your exposure to X-rays. Like their conventional units, digital mammography units at Southcoast have Computer-Aided Detection (CAD) technology built right in. Digital CAD highlights characteristics commonly associated with breast cancer. 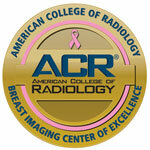 When activated, it flags abnormalities to help the radiologist detect early breast cancer. CAD is, in essence, a second set of eyes to support and enhance the radiologist’s judgment. At Southcoast, you will find 100% digital mammography at all our mammography sites throughout the region, making it the largest digital system in the South Coast. Schedule your yearly mammogram or ask any questions you may have about digital or 3D mammography by contacting your nearest breast imaging location. Your doctor will contact you with the results after a radiologist has reviewed your mammogram. In some cases, you may need to return for a diagnostic mammogram or another breast imaging exam, such as an ultrasound. Southcoast Health provides women across the South Coast in MA and RI with digital mammography and advanced imaging services.